The California Constitutional attorneys at Kassouni Law believe that Constitutional rights and personal freedom are intertwined; it is our mission to rigorously defend your rights against government and private abuse. Headquartered in Sacramento, with offices in Los Angeles, our attorneys have litigated cases against all manner of private and governmental entities throughout California, including building departments, planning departments, the California Coastal Commission, and cities and counties, all on behalf of private individuals and businesses. For an honest assessment of your legal matter, contact the Sacramento and Los Angeles law offices by calling (877) 770-7379. The Supreme Court has the power to determine the constitutional validity of acts of the legislative and judicial branches of government. It is a testimony to our nation that we accept the judgments of the Supreme Court. 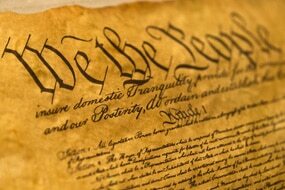 In 1789, only two years after the Constitution was adopted, Congress adopted ten amendments, commonly known as the Bill of Rights. These amendments were adopted to ensure the protection of specific individual liberties. The 1st Amendment ensures freedom of speech and assembly; the 2nd Amendment ensures the right to bear arms; the 4th Amendment ensures freedom from unreasonable searches and seizures; and the 5th Amendment ensures that private property cannot be taken for public use without just compensation. The most pervasive threats to liberty in our current time are infringements on the 1st Amendment right to free speech, the 2nd Amendment right to bear arms, the 4th Amendment right to be free from unreasonable searches and seizures, and the 5th Amendment right to just compensation for a taking of private property. The other amendments are equally important, but are not common threats to liberty today. For example, the 3rd Amendment prevents soldiers from being quartered in times of war and peace without consent. The 1st Amendment was designed to protect argumentative and contentious speech. Today, government is increasingly enacting laws which stifle the free expression of speech so as not to offend certain groups of people. As to the 2nd Amendment, government frequently attempts to place restrictions on the right to bear arms, typically through gun control measures. The United States Supreme Court recently confirmed that the 2nd Amendment is as important and viable today as is was 200 years ago. As to the 4th Amendment, in the 1960’s the Supreme Court held that the right to be free from unreasonable searches and seizures extended to civil as well as criminal inspections. This means that the government must obtain a civil inspection warrant before it can enter and inspect property for alleged [gs zoning] and code violations, even though there is no criminal wrongdoing. We live in a world of increasing regulations and government red tape. Property owners find themselves subject to mountains of restrictions on the use of property, and government has become very active in its enforcement efforts. Many times the government exceeds its authority by violating the civil inspection requirement. Finally, regarding the 5th Amendment, local government often regulates private property to such a degree that little if any economic use is left. When this happens, you may have a remedy for civil rights violations and for a taking of property without just compensation. For more information, please see 5th Amendment Takings. If you have any Constitutional rights related issues, please contact the Los Angeles and Sacramento, California Constitutional attorneys at Kassouni Law by calling (877) 770-7379. We will be pleased to assess your rights and remedies and help you form a plan of action to obtain positive results.